Winter is a harsh time for our skin due to cold temperatures and harsh winds outside, and the hot dry air and low humidity inside. All of that dehydrates our skin no matter what type we have. To keep our winter skin young and supple, we need well formulated masks that will both replenish lost moisture while at the same time restoring skin to that glowing look it had before winter. Here are 7 treatments we have tried and found have the winning edge over winter dryness. A luxurious, radiance and moisture-enhancing facial mask that immediately gives moisture and intense hydration to your skin. It contains Pitera: A blend of vitamins, amino acids, minerals, and organic acids that work together to allow the skin’s natural surface rejuvenation process to function at its prime, enhancing the renewal of the skin’s outer layer. Moisture Surge is a luxurious creamy mask that helps skin appear to have a new level of luminosity, helping to restore radiance to a dull, dehydrated-looking complexion. It helps skin drink deep to replenish lost moisture. Your skin is left soft, smooth, supple and perfectly hydrated. 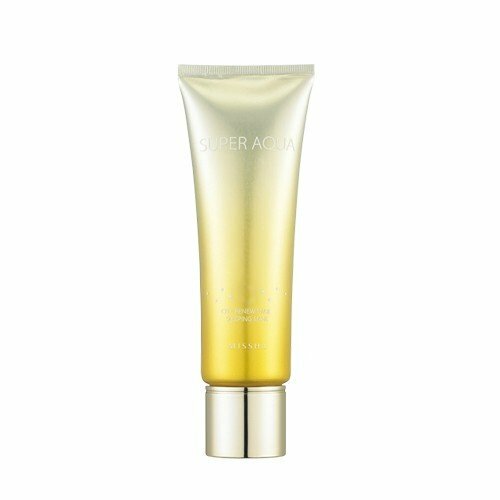 Super Aqua Cell might sound like a super hero, and it is, as a sleeping cream that contains 15% snail slime extract that helps improve dull complexion and moisturise and hydrate your skin to increase elasticity while you are asleep. It has incredibly pleasant light and non-sticky texture which will not bother your sleep. The sleeping mask is recommended for all skin types as the last step of the skincare regimen that is left on overnight. Black Rose Cream Mask is a creamy and rich mask specifically formulated to instantly provide the skin with a youthful and toned look. It brings together three actions—revitalizing, softening and hydrating—to restore a luminous complexion and re-densify skin in just 10-15 minutes. Apply 2-3 times per week in a thick layer on your face and neck, carefully avoiding the area around the eye. Leave on your skin for 10-15 minutes, then wipe away the excess. Estee Lauder what would we do without you? This multi-action mask brings out a more rested, radiant, energized look after just one use due to a great mix of antioxidants and anti-inflammatory ingredients.. It helps significantly reduce the look of multiple signs of aging. Apply generously over clean face and throat, avoiding eye area. After 5 minutes, gently tissue off. Use three times a week. You might be too cool for school, but you are never too cool for great skin. This hydrating mask features an ultra-soft microfiber sheet drenched in egg extracts, coconut water, niacinamide, and other botanical extracts to deliver ultimate hydration, nourishment, and brightening benefits. Coconut water provides hydration and quickly penetrates into skin. Niacinamide and camu camu extract are rich in vitamin C to brighten the overall appearance of skin, while egg extracts nourish. In as little as 20 minutes, skin appears more visibly firm, radiant and glowy, and feels well hydrated and moisturized. Your skin really seems to drink in this ultra-rich, hydrating overnight mask, helping it to reverse the visible effects of fatigue for a more rested, healthy, luminous look. Avocado and Apricot Kernel Oils deeply and instantly quench compromised moisture reserves and help build a reservoir for tomorrow. While Japanese Seaweed helps repair skin’s barrier to prevent future dehydration and signs of premature aging. Skin awakens comfortable, refreshed, supple. Note that fragrant oils could be irritants for some with extremely sensitive skin.